The Warrior Maiden Dancers are a volunteer organization that have been cheering on the San Antonio Warrior Football organization of the CRAFL and have been making appearances and performing at community events throughout San Antonio since 2006. 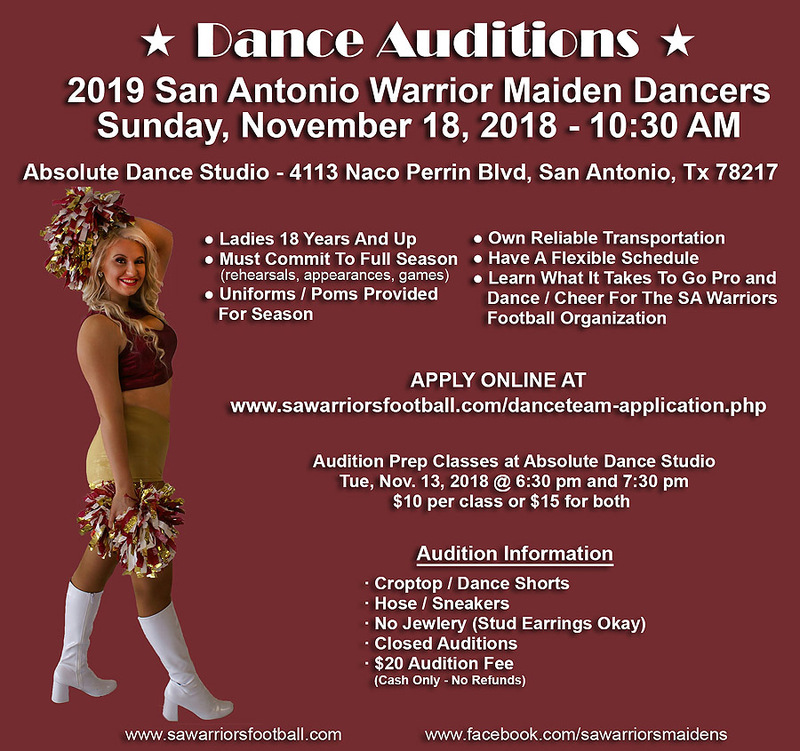 The 2019 San Antonio Warrior Maiden Dancers Auditions are Sunday Nov.18, 2018 10:30 a.m. at Absolute Dance Studio, 4133 Perrin Beitel Blvd. San Antonio Tx 78217. They are looking for 12-16 talented ladies ages 18 and up that love to dance/cheer, have a flexible schedule, their own reliable transportation, are committed and reliable and like to make new friends and have fun being on a team. Prep audition classes Nov.13th 6:30pm and 7:30pm at Absolute Dance Studio $10 for one class $15 for both (cash only non-refundable).  Audition wear: Dance crop top & Dance shorts, Hose & Sneakers, Hair lose, No jewelry except stud earring, Non-returnable $20 audition fee day of auditions at door. To apply on line and for more info go to: http://www.sawarriorsfootball.com/danceteam-application.php by Nov.17th midnight or sign up at auditions.